After 14 workings day, still /dev/null update from TM/TMNet. People in Telekom is basically Tai-Chi master, when I called TMNet, they ask me call TM, when I called TM, they ask me call 1300. So when I called 1300, they ask me call TM Activation which is +603-26870111, and this line is busy like hell, is like taking long queue to hell, and waiting for special prosecution. “If you can’t see your DSL light tomorrow, please call us.”. “Sir, we will make this very urgent, your jumper is not done yet, we will escalate to TM urgently”. Yes, that mother farking hung up my call! I wonder how TM or TMNet can be awarded as Best Internet Service Provider in Asia. And it’s now 18 Working Days, my TM Net Streamyx is still farking dead. So this morning I went to TM Point, give them a big hug and thank you for providing such wonderful experience to me. I terminated my land line phone and TM Net Streamyx this morning! So how do I online right now? 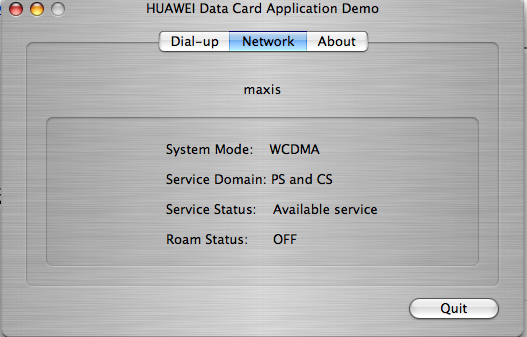 It’s HuaWei E220 3G card with Maxis 3G, although it’s more expensive than streamyx, I am willing to pay as long as I get what I want. Right now, I am extremely disappointed with TM services! Best Internet Service Provider huh? Ya ya.. fark it. Read my blog and see how many complains and people suffer from their services. Feel free to modify any of it as you wish! First of all, your customers don’t expect to speak to people who can ONLY read checklists like those at your call centre (Stupid Robot can do that). And more, your “2 business days” promise doesn’t sound convincing at all (ie. No Class!). In today’s IT age, online businesses run 24/7, 365 days a year because the beauty of World Wide Web allows people from all over the world USE & live in it without any time boundaries. So your “2 business days” only sounds TOTAL incompetent, hopeless & fear of commitment to your own line of business (not to mention way sub-sub-par to other world ISPs). After the 12 nerves-wrecking days experience (yup it’s not over yet, still counting days), I think it is time for TMNet Management to think about hiring a consultant to revamp and change the mindset & attitude of TMNet working level as well as the Management so that you guys could understand better how excellent & world class service oriented company should function. I hope none of you guys are sleeping on the job, else how could you let this going on for 12 days (and counting..). Now, I don’t need anymore of your lame apologies.. “Repair underway bla bla… we will try to reset here & there bla bla…” Already heard TONS of it for almost 2 weeks & still produce nothing (Malaysian way of being polite is no longer applicable & sensible in this REAL world, just shoot straight coz it mean you are honest & dead serious). Yes, I just need my Streamyx service back if you really care, or if TMNet is really genuine & COMPETENT service oriented company. Just try your “very” best to restore my Streamyx service (we will see whether your “very” best is 30 days or more, talk about another new entry in the making for Malaysia Book’s of Records). I’m not sure whether Maxis & other ISPs would love to hear this kind of tale, but let’s not forget the rest of the public too need to know & compare the services. 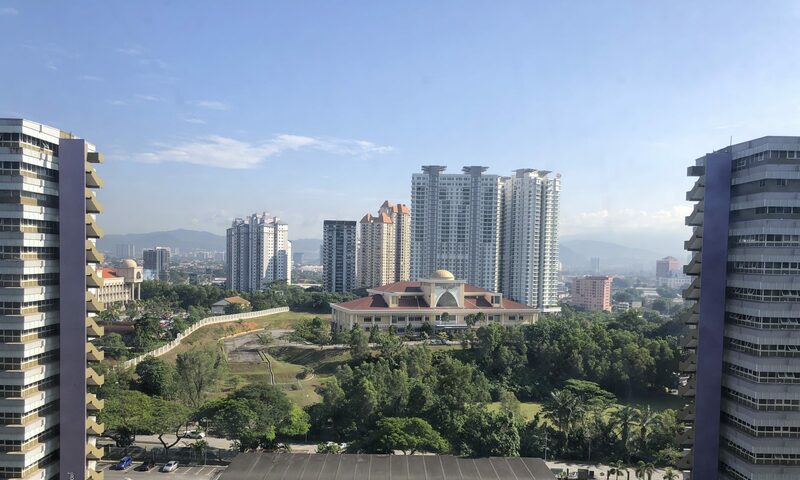 Unless it is already embedded in public mind that TMNet is just another pathetic local champ “jaguh kampung” (which is clearly not heading anywhere in this decade/century), then I feel sorry for most of my fellow Malaysian users. To TMNet billing department; would very much appreciate if you could adjust the billing for this account accordingly. (If you still don’t get it; please deduct the portion of un-rendered service due to your “EXCELLENT & IMPECCABLE” Streamyx service). Please not to “unashamedly” bill me for that portion. Currently the un-rendered service is 13 days & counting. Ps – Don’t bother calling me after this (NOBODY even tried to call me to update on the situation for the past 12 days (& counting), it was ME who keep calling the NON-VALUE added customer service everyday, for update(s) thus far). Just bring back my Streamyx service to normal, that’s all. PPs – I think it is wise if you guys don’t UNDERESTIMATE your customer. You never know what he/she is capable of (Not to mention, an irate customer). Like you said “We are not just NUMBERS!”. So WALK THE TALK, if you care. How is the performance of Huawei E220 + Maxis3G? Stable to VOD(video-on-demand)?